ABOUT US ship your boxes sea freight forwarding air freight forwarding moving? order container vehicle transport boat shipping roll on - off shipping road and intermodal forwarding special cargo rate requests cargo tracking document center smart links references customers worldwide other moving from hungary GALERY usa purchase assistance? 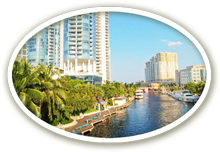 We are located in beautiful sunny Ft Lauderdale, Florida. We have been shipping goods to Hungary and to other European countries for the past 10 years. Over the last 2 years we have expanded our shipping services to worldwide destinations. Since we've started, we have transported hundreds of cars, trucks, motorcycles and boats. We've been able to get to know a lot of customers and make new friends. People have put their trust in us to move their entire lives in boxes and their most valuable investments. With our vast experience, we are helping our overseas customers handle their purchases of any kind. Please see our menu with the services we offer ! Please find which will best suit your shipping needs. When you call us from Europe please do not forget the 6 hour time different. We appreciate you visiting our Website. Looking forward to doing business with you in the near future.